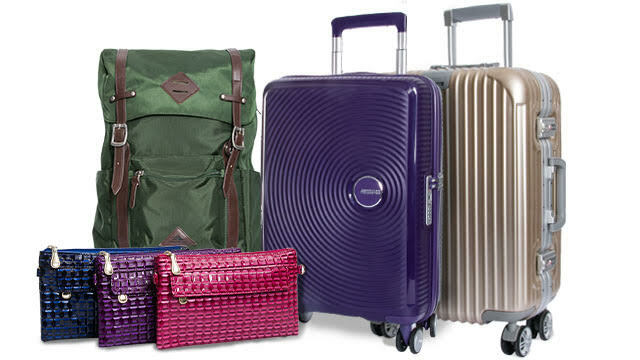 Shoppers can purchase amazing finds at discounted rates. (SPOT.ph) Who's up for some early Christmas shopping? In line with their 35th anniversary, Metro Department Store and Supermarket is having a nationwide three-day SALE from October 13-15. We're talking about discounts of up to 50% on the freshest produce, stylish homeware, limited edition products, and hot fashion finds! "This sale not only commemorates our 35th year of service but also marks our success, serving an average of 250,000 shoppers per day," Arthur Emmanuel, President and COO of Metro Retail Stores Group, Inc., points out. "Expect only the best bargains as we renew our commitment to offering the best value for your money, while constantly improving your shopping experience." 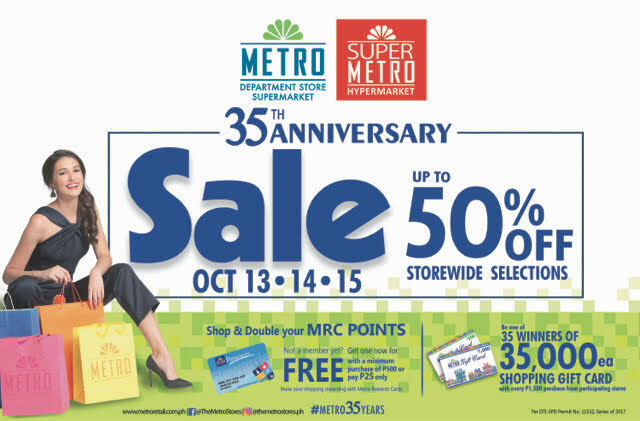 Head to the #Metro35 Anniversary Sale this October 13-15 for the best bargain on trendy apparel for men and women. Drop by any Metro Department Store or Supermarket to snag super low deals on women’s bags, clutches, backpacks, knapsacks, luggage and more. 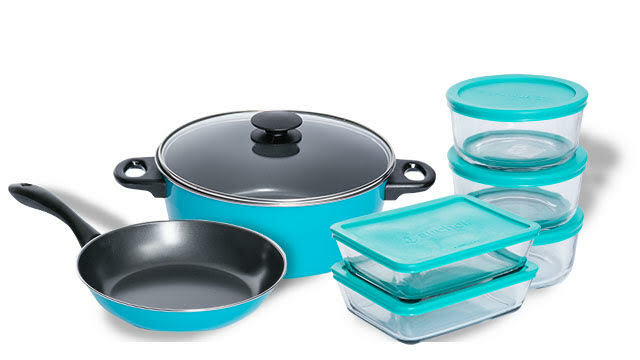 They can also get good deals on assorted containers, cooking sets, and kitchenware. 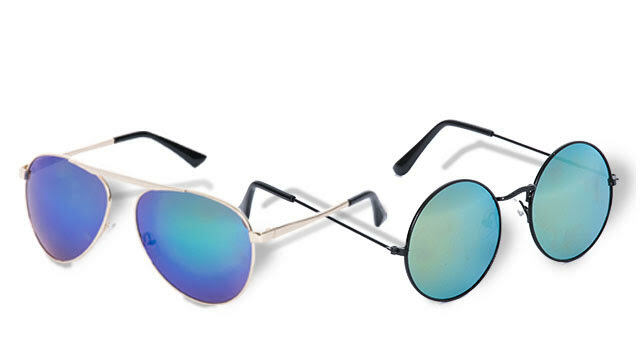 Shoppers can score stylish shades for as low as P90 each. The #Metro35 Anniversary Sale offers Adidas shoes at 20% off on all regular items. 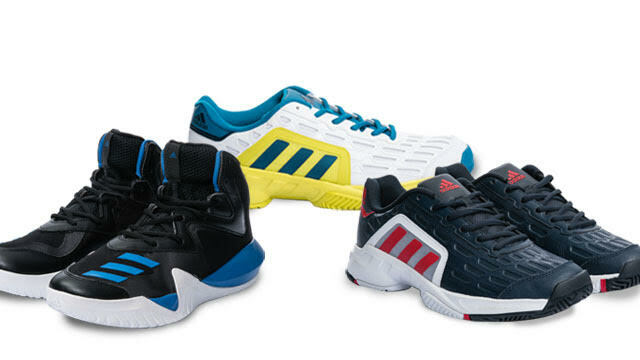 [L-R] Adidas Basketball Men Core, now priced at P2,700 (regular price: P3,395); Adidas Men’s Tennis shoes, now priced at P2,400 (regular price: P3,795); Adidas Men’s Tennis shoes, now priced at P2,400 (regular price: P3,395). Available in selected Metro Stores only. Here's the best part: Metro Department Stores and Supermarkets is also giving 35 lucky customers P35,000 worth of Metro Shopping Gift Card! To join the raffle, all you have to do is spend a minimum of P1,500 in participating stores. And if you're an MRC Rewards cardholder, you can double your MRC points when you use it during the Anniversary Sale. Those who want to have an MRC Rewards card can easily get one for free for a minimum purchase of P500, or simply get it for P25. 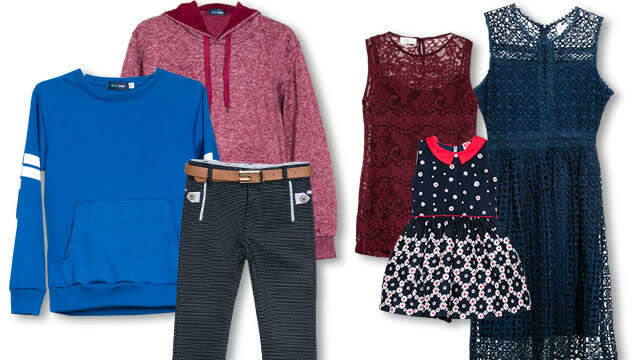 Happy shopping, everyone! For more information about Metro Department Stores and Supermarkets' 35th Anniversary Sale, go to www.metroretail.com.ph or follow The Metro Stores on Facebook. This article was created by Summit Storylabs in partnership with Metro.